Established in 1998, GoodTemps, Inc. is a nonprofit, alternative staffing agency, and a subsidiary of Goodwill Industries of West Michigan, Inc. Alternative staffing agencies are distinguished by their commitment to helping workers improve career skills and achieve new goals, which provides employers with the ancillary benefit of a better prepared workforce. Our staffing specialists create ideal matches between employers and qualified workers, encompassing a wide spectrum of occupations and skill levels. Employers enjoy customized solutions to meet their specific needs with full-service placements for a totally hassle-free workforce. Rates are competitively priced and, unlike other agencies there are no fees or waiting period for permanent hires. GoodTemps workers pay NO agency service fees, and receive weekly paychecks while gaining valuable work experience, often with permanent placement potential. GoodTemps understands the broad definition of barriers that exist today and how these obstacles can affect the quality of employment and life. GoodTemps is commitment to helping workers improve career skills and achieve new goals, which provides employers with a prepared workforce. The organization will match employee to employer based on their skills. As a division of Goodwill Industries of West Michigan GoodTemps supports the Goodwill mission of enriching the quality and dignity of life for individuals, their families and our community. Each person is unique and GoodTemps recognizes this and are committed to excellence and providing the best service for our clients and a healthy, strong community. 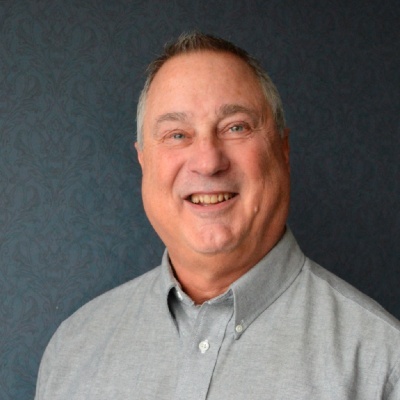 Recently retired, Tom is the former location manager for Kendall Electric’s Muskegon and Grand Haven offices. The full-service electrical wholesale distributor serves the industrial, equipment, and construction markets, with 57 locations in the United States. Libby has wealth of expertise in fund development and serving the community needs. Retiring in 2011, Libby’s 23-year career at the Fremont Area Community Foundation included roles as communications director, associate director, and then at the helm as president and CEO. During her tenure, the foundation’s annual grantmaking and scholarship programs exceeded $10 million annually and its asset base topped $200 million. Prior to working for the foundation, Libby was the director of the Muskegon and Newaygo Counties Foster Grandparent Program which paired limited-income seniors with children with special needs. Former program director for the Community Foundation of Muskegon County, Marcy oversaw the foundation’s extensive scholarship programs. She retired in 2012, after 21 years of service. Prior to her work at the foundation, Marcy was a high school English teacher in Chesaning, Michigan, and later taught preschool and parenting classes after moving to Muskegon County in 1978. To provide temporary employment opportunities and skill development for people with barriers to employment. We are an alternative staffing agency. Employers enjoy NO fees or waiting period for permanent hires. Workers pay NO agency service fees. © Copyright 2019 by GoodTemps, Inc. All Rights Reserved.